Georgie fresh from his mid morning bath smells like a little droplet of scented heaven. He looks and feels utterly delicious. Total baby softness with an air of luxury thrown in for utter cuddle pleasure. I could snuggle him all day, but then I wouldn't be able to tell you about our new favourite baby products at Peonie and Me. So resting beside me and still in smelling distance (did I mention he smells yummy?) I wanted to tell you about Harry & Rose, a luxury baby brand that boasts organic and natural ingredients in their skincare range. Now if you have read my blog before you would know I am obsessed with the boys skincare routine. Henry has incredibly sensitive skin and I rarely drift from his usual failsafe products. Equally Georgie is new to the world and I want to protect his baby soft skin. So when Harry & Rose sent me some products to try, I was extremely cautious. How could something that smells so good, not be harsh on their skin? Initially I tried the baby hair and body wash on Georgie along with the nappy barrier spray. The baby wash which smells scrumptious due to the mixture of Calendula, Coconut, Chamomile, Cottonseed and Aloe Vera, felt nourishing against his skin. Georgie loves his bath time and on getting out of the water, he felt so moisturised. Result. Next up was the nappy barrier spray and if you have read my blog, you will know I have tried every type of nappy cream out there. 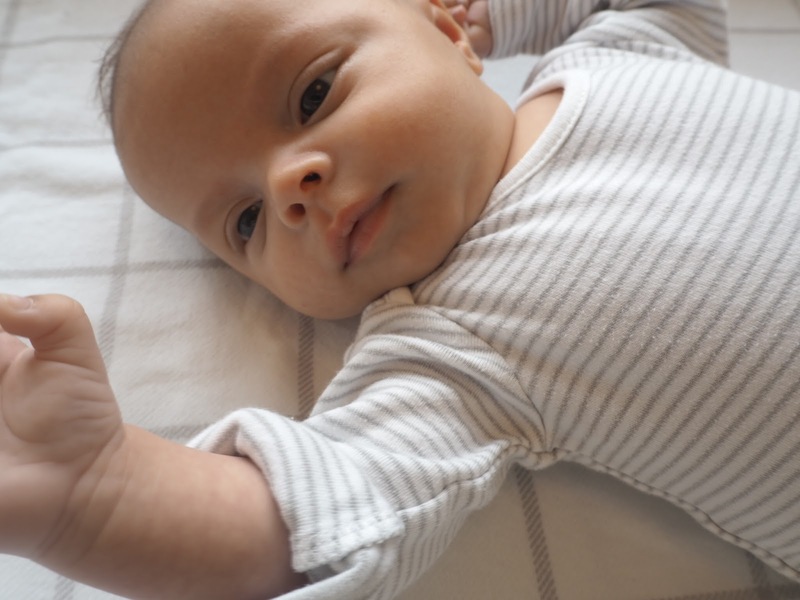 Your baby only has to get nappy rash once and you never miss the creaming step again. So it took a lot for me not to stray away from my usual cream. But the spray, perfectly sized, was great for taking out with us in my nappy bag. Like the body wash it smelt super yummy and I loved how easy it was to just spray on. I've been using this for over a month now and I can report there has been no rash, on both boys. Totally and utterly in love with the products, I went online and purchased the soft lotion and baby bubble bath. The bubble bath when used, not only makes the boys smell great, it's scent also fills the whole house and creates a lovely relaxing atmosphere. For Henry I am still using his usual bath products to combat his eczema (his skin is more sensitive than Georgie's) however I use the bubble bath to scent his bubbles. I love bath time with Henry, especially since his brother came along, as this time is just us 2. He tells me about his day (in his usual babble) and I sit back and watch my little man relax into his bedtime routine. But if you were only to buy one product from this luxury collection, it has to be the baby lotion. This award winning formula leaves Georgie's skin felling nourished, soft and hydrated. Its such a luxurious treat and along with some baby massage, you can see my little mans face relax after being pulled out of the warm water. It's non greasy and I'm always tempted to coat myself in it. The products which are made in England are so beautifully packaged, they also make great gifts. One of the gift sets comes with a bamboo and cotton towel and mitten. Both super soft against your babies skin.